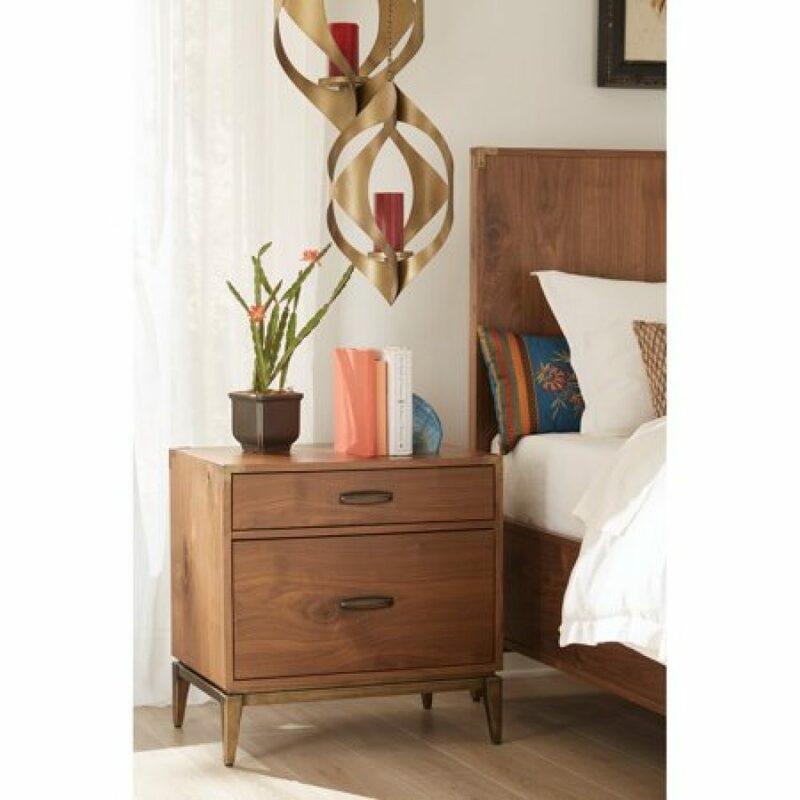 Mid-century style takes a contemporary detour with the Adler collection by Modus Furniture. With a simple yet sophisticated profile, Adler is built from Walnut veneers in a knotty walnut finish. Bronzed brass campaign-style corner brackets and tapered metal legs provide a subtle contrast to the warm tones of the timber for a look that is both fresh and timeless. – Made from Walnut veneers. – Bronzed brass corner brackets, bases, and cup drawer pulls. – Sanded and stained drawer interiors with English dovetail joinery. The Sophia is a stylishly tufted platform bed, covered in an attractive grey linen-look fabric, that features design details including an attractive diamond stitch pattern. The Sophia bed kit includes a screw-in slat roll, bolt-on rails for added stability (not hooks), center support on slats and wood feet. The Sophia headboard is also sold separately. Available in Queen 5/0, Eastern King 6/6 and Cal King 6/0 sizes only. With a style that bridges the gap between classic and contemporary, the Amelia platform bed from Emerald Home will be the centerpiece of your room and take your style from simple to elegant. The dignified silhouette, rich upholstery, and button tufting give this platform bed a regal sophistication. Transition your bedroom into the master you deserve with the Amelia platform bed.